The Fangirl Diaries: The. Killers. Are. Back. Finally! The band that brought you Mr Brightside and Human have released a new song that’s not a U2 cover or a Christmas song! It’s truly a miraculous event in the world of The Victims. It’s almost cruel to yourself to become a fan of a band immediately before they go on a hiatus of over two years, but that’s exactly what I did. 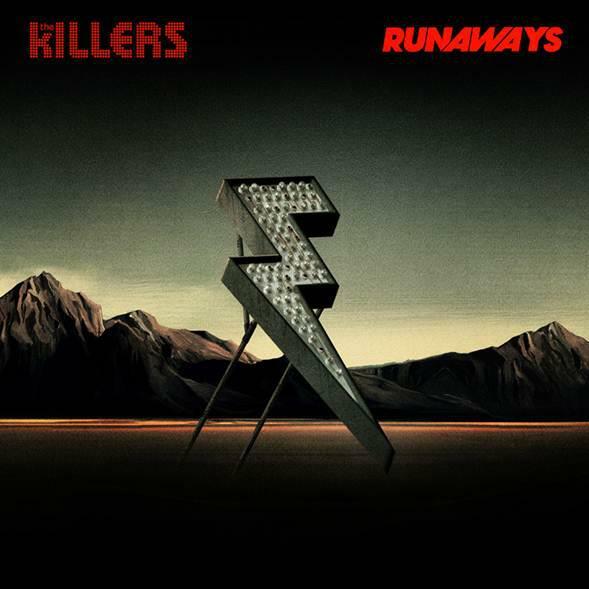 Now I’m not going to go off on a The-Killers-concert-changed-my-life tangent, as much as I’d like to, but suffice it to say that this is the first new material they’ve released since I’ve been a fan, and I’m not disappointed! Excitement had been building in the fan community for several weeks before the release on the 10th of July… we’d even seen the single artwork, and been treated to an album preview in the form of a video clip. It was no surprise then, that when the song leaked mere hours before the official release, the fans were torn. To listen or not to listen? Personally, I am fully against leaks like this… in my opinion they completely, well, kill, the excitement of everyone listening together for the first time, whether it be on radio, online, or by any other means. But yes, I am a terrible person, and yes, I listened to the leak. At work, even. In my office. Through my headphones. Ignoring anyone who attempted to speak to me for those 4 minutes. Upon pressing ‘play’, I became confused for a few seconds: it seemed as though someone had simply labeled Crossfire as ‘Runaways’, and was now sitting back and laughing whilst the Victims had a mild panic attack. No, really, the intro is identical to that of Brandon’s solo single, Crossfire! That, however, is not a bad thing. But ahhhh, then the vocals kick in, the drums, the bass, and guitars, and The Killers are back, just as though they’d never left the world of music at all. Oh, it’s such a beautiful feeling, when your favourite band restore your faith in them! I had worried that the song might not be that great, that I’d love it anyway, but only because it was The Killers. I can assure you that that is not the case at all. Runaways is a sweeping track of epic proportions, combining the electro vibes of Hot Fuss, the grandeur of Sam’s Town and the catchiness of Day & Age, then adding a brand new element of power-rock to this anthemic song. Yes, audiences will belt this out in stadiums, in arenas, and in huge parks. Yes, I will be one of them! No, the song will not be a radio hit, but who cares? Most people who listen to mainstream radio have no taste in music at all, and that’s their loss. Unlike Coldplay did last year, The Killers have not completely changed their sound for this new single, but why should they? If they have the perfect formula for music, why change it, right? I’m glad that they haven’t felt the need to go mainstream, sell out, or try anything particularly strange. And somehow, 99% of the reactions to the song seem extremely positive. Even NME didn’t have a bad word to say about Runaways…now that’s when you know you’ve done something right.